Abundant Yin Teapills, also known as Da Bu Yin Wan and "Great Yin Tonifying" tonifies the liver and kidney yin, sedates deficiency fire and alleviates steaming bone syndrome. Abundant Yin Teapills is recommended for those with hot flashes, night sweats, and insomnia. Abundant Yin or Da Bu Yin Wan by Plum Flower is a cooling and moistening formula that replenishes kidney and liver yin deficiency. 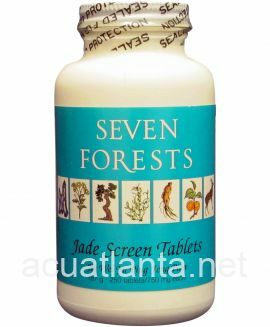 It is also useful for those with signs of deficiency heat or fire. Rehmannia glutinosa root-prep, Chinemys reevesii shell, Anemarrhena asphodeloides rhizome, Phellodendron amurense bark. - Shu di huang, Gui ban, Zhi mu, Huang bai. Contraindicated for conditions due to excess heat. Use with caution in Spleen deficient patients with a tendency to loose stools, diarrhea, poor appetite or chronic digestive weakness. 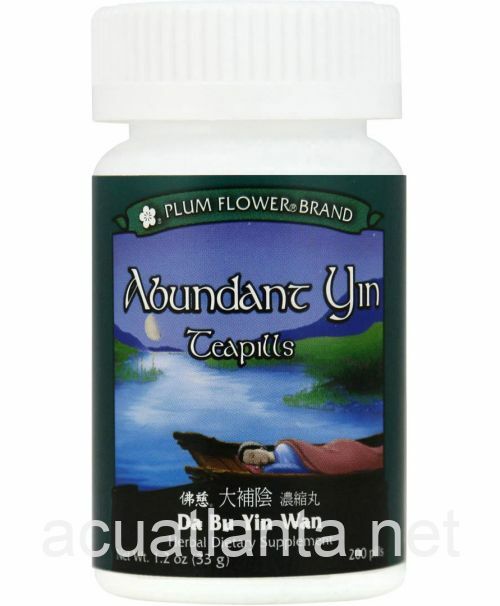 Abundant Yin Teapills product is available only from licensed healthcare professionals. 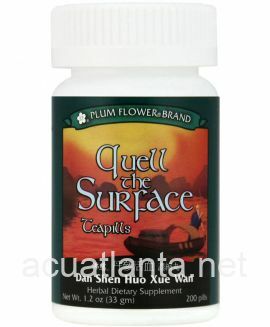 Buy Abundant Yin Teapills Online here at AcuAtlanta.net or our clinic. 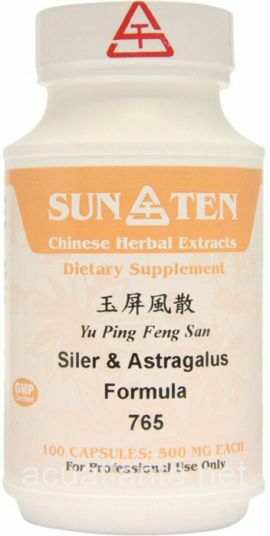 I use this product for reoccurring night sweating; it has reduced the symptoms significantly. It seems to be more effective than other products I have tried. Abundant Yin has helped with hot flashes, stress and sleep. I see an improvement all around! I took advantage of the free shipping on orders over $100 and ordered 10 bottles of Yin Teapills. 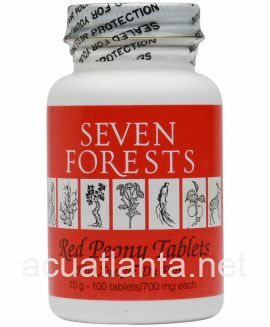 They are an excellent treatment for hot flashes. Customer who purchased Abundant Yin Teapills 200 teapills online also bought the following products which may be of interest to you.